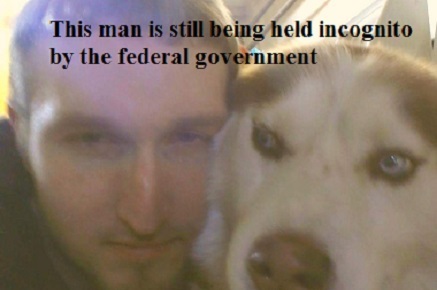 Akron Hacktivist Still Missing in Federal Custody as His Defense Committee Battles Snitches, Sellout Lawyers and Surveillance. Although the Trump Administration seems to be able to “loose” 1500 children in ICE detention separated from their parents, this author has never seen someone charged with a crime disappear with so much obvious coordination between so many agencies. In our search for James Robinson, this author along with Robinson's prison welfare attorney, contacted five prisons in two states, all of which either refused to admit he was a prisoner, or gave false information repeatedly. There are five men in state, local and federal custody in Ohio and Pennsylvania named James Robinson. None of them is James Robinson, a white male age 32. I was given a false prisoner number, cell block and address by Ohio State Penitentiary “Compliance Officer” Horton, who then transferred me to a public information voicemail voicemail. My call has not been returned and it has been now 48 hours. That was the middle of my personal odyssey, not the beginning nor the end. While two reporters from two publications were working on locating Robinson, his defense committee, which announced it's existence to the world with a new website and a new fundraising drive, also went looking for him. They were eventually given the prisoner number of James Robinson, a 56 year old black man in prison since 1990. That James Robinson is not to be confused with another James Robinson, age 32 and white, in the United States Penitentiary in Lewisbugh PA until 2025. Nancy Norrelli, Robinson's prisoner welfare lawyer tried to get his prisoner number from the law firm hired by the Federal Government to be his public defender. This would be the same overpriced ambulance chaser that did not object to the FBI heckling him at his arraignment while waiving his right to a speedy trial and not fighting the fact that he, like Reality Winner, is being held without bail. Norelli was told that “Brian is with him right now” by the firm's secretary who hung up and did not answer when asked what prison and what Robinson's prisoner number was. It is not clear if so-called defense attorney Brian was actively participating in the FBI's round the clock interrogations. Robinson was held for over a week without charges before his arraignment and appeared in the courtroom with multiple bruises on his face and body. Norrelli suspects that Robinson is being hidden during these interrogations using a technique known as “diesel therapy.” This technique, which was used on best selling author Barrett Brown and hacktivist Jeremy Hammond, is performed by continually transferring a prisoner between prisons. The prisoner is thus never “in” one individual prison and on their roster. Thus they are off the books, alone in a windowless van, constantly in motion without sleep and with little food, stopping only for gas and beatings during interrogation. While the government continues to stall, the snitches and ambulance chasers descended, bringing the FBI with them. Jay Lederman, a California attorney with a questionable history of getting dubious plea bargains for hackivists, injected himself into the defense committees deliberations. Although not licensed to practice law in Ohio, he demanded money to cover his travel expenses to “defend” Robinson. He was the insistent source of disinformation that Robinson was being held in Lewisburgh despite the fact that an inmate can not have a release date without a sentence and Robinson has not even been tried for his alleged crimes yet. Had Robinson plead guilty at arraignment, which he did not, he would still be months from actual sentencing. Lederman, while deep in jet lag from vacationing outside the country, attempted to take money from a federal informant on behalf of a client he did not yet represent. After her flurry of disinformation and snitching via twitter Langley reached out to Lederman and offered $3000 to fly to Ohio and work on the case. Lederman has not been accepted by Robinson and clearly does not even know where Robinson is being held. If he does know he was actively lying to Robinson's defense committee while insisting that money pass through them to him from Langley. The defense committee refused to deal with the person actively talking to the FBI. Langley, according to people who know her, does not have access to $3000 of loose cash. That money could not have been hers and likely belongs to the FBI. Thus the FBI would be financing one attorney not acting in Robinson's interest and the Department of Justice would be financing the other, all while the actual defendant being held on trumped up charges is still missing. The defense committee is pledging that protests will soon begin if Robinson is not granted a prison cell, person-hood, food, visitation and defense counsel of his own choosing. The Mockingbird will continue to cover this story as it develops.